"... Analysis of the nominees..."
Read full poker blog entry. While moving from country to country for work, Marcel, a mathematical physicist landed in Sweden just after the Moneymaker boom had started. He had always had an interest in cards and in 2004 while waiting for a flight after a conference in Toronto, he had the chance to learn the game he'd been watching on TV from fellow colleagues. When he got back to Europe he made his first $50 deposit on Pokerstars and his online career had begun. He started by playing in the smallest buyins and had to redeposit a few times. During the last few months of his position in Sweden he joined a weekly live tournament at the math department. It was a small $5 single table tournament, which proved to be more of a social gathering than a serious game but it allowed him to get used to a live environment. Shortly after he moved to Paris and the poker boom seemed to have not hit France yet. Marcel decided to invest $50/month to his online bankroll and start learning the game. 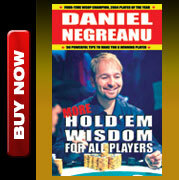 He read books on tournament play and discovered Daniel Negreanu's blog and the FCP forums. While he didn't join FCP until 2007, he regularly read the strat forums and began to apply his mathematics knowledge to the game. His bankroll grew and he never has been busto since. 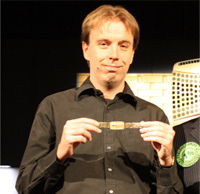 In the spring of 2007, while visiting friends in Sweden Marcel was invited to play in his first live tournament at the casino in Stockholm. 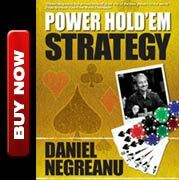 The buy-in was $80 which he paid outside of his bankroll and it proved to be a worthy investment. After moving from his initial table, he went on a roll and ultimately final tabled the event. "Being at a live final table was a great experience," said Marcel. "Sure, it was not a huge tournament, but there was an actual rail, and it was great to have a couple of friends cheering for me. I managed to keep my stack sort of stable until we were three handed." Once they were three handed, Marcel was dealt three pairs in a row and he went on to win his first live tournament. "I was in shock: I had just won my very first live tournament, and 13000 Swedish crowns, almost $1800!" After a breakeven summer of poker, Marcel took down a 60 euro freezeout, a 50 euro rebuy and came third in a 200 euro freezeout. His live bankroll skyrocketed to about 10k. Over the next couple of years, Marcel's online success also improved as he took down a $20K guaranteed event for $9.8k. In the spring of 2009, while attending a workshop in San Francisco, Marcel booked a ticket to Vegas and registered for a three-day $1500 event. Not only did he mincash, but he also final tabled two $345 tournaments and made enough money to pay for the trip. "My trip to Vegas was absolutely amazing. Not only was it great to finally be able to play live again, it also was awesome to meet some of the guys in real life that I had only known by their avatars so far. I spent a lot of time with Phil (Highwaystar) and Jeff (outsider13), and briefly met Adam (Fargo), Mark (NoSup4U), Frank (Seacucumber), Justin (Fluffdog), Mike (NNB) and quite a few others." 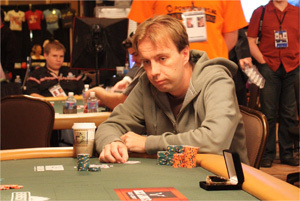 Skip ahead to 2010 and Mr. Vonk found himself back in Las Vegas playing at the World Series of Poker. Only this time he had much more experience and confidence going in. He registered for a $1000 NL Hold'em event and found himself at the final table on Day 4. He became the chipleader after eliminating both Mehul Chaudhari in 7th and Matthew Lupton in 6th when his QQ held up. He busted Nathan Jessen in 4th place and eventually went heads up with David Peters. After a short up and down battle, Vonk took a demanding chiplead when his KK took down JJ and a couple of hands later he went on to eliminate Peters and win his first World Series of Poker Bracelet and $570,960 prize! Marcel hopes to continue playing more online tournaments, including the Sunday Million most weeks. You can follow his continued success through the FCP forum in his own thread here.